Applicants who have Completed B.Tech/ M.Sc /Ph.D. 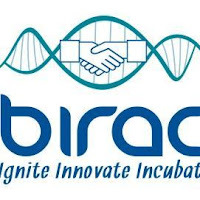 /M.Com / MBA or equivalent from a recognized Institute for BIRAC Sarkari Naukri 2019. Eligible & Interested candidates can download the Notification & Application form on the Official website page at www.birac.nic.in BIRAC Sarkari Naukri 2019.